Takayama is located in the Gifu prefecture in central Japan. It is a peaceful, traditional town that offers amazing attractions in the surrounding areas. 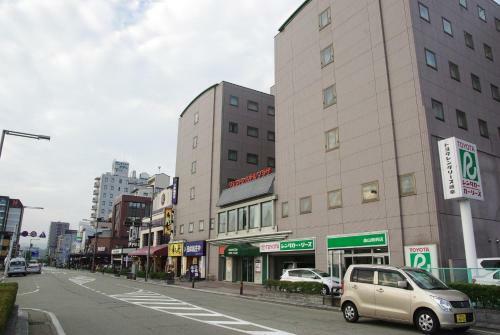 There are many hotels in Takayama City, but one of the prominent hotels close to the train stations will be the Takayama Ouan - one of the tallest buildings in the vicinity. 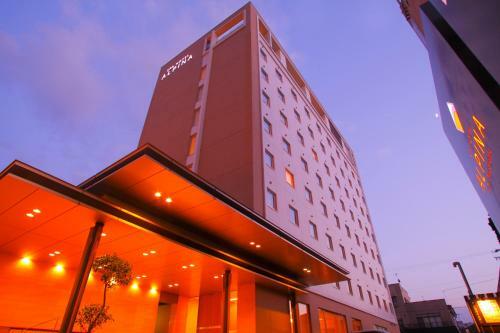 Takayama Ouan is conveniently located 5 minutes away from the train station, with straight pavement leading to the hotel. During the winter, the pavement may be covered in thick snow, making it slightly challenging to pull your luggage along so it might take a little more time. However, once you arrive, you will be greeted with a beautiful entrance with traditional decoration. Upon check in, you will have to store your shoes in the provided locker and move around the hotel in their slippers or socks. The hotel is laid with tatami mats which are very well-maintained, so it is easier to walk around in socks rather than the slippers. A good variety of souvenirs is for sale, and complimentary walking tour maps are also readily available next to the check-in counter which is very convenient for time-starved visitors. Each room has a simple design but with a touch of Japanese culture. The floor is laid with tatami and the bed is on the floor. The wide window concept is great where you can open it partial to get the air in while enjoying the view of the street. It may get a little noisy because the train tracks are beside the hotel, however, rooms on the higher floor, above 8th may be slightly better. Two sets of Yukata, casual traditional garments, are provided in M and L sizes with a pair of socks, and you can wear them everywhere in this hotel comfortably. Each room also comes with onsen hot spring baskets with clean towels in them. Make sure you bring them along when you head up for your hot spring bath. 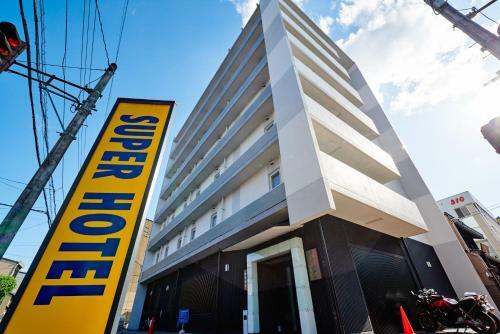 Room rates start from 9,500 JPY (84 USD) and will be doubled during peak season especially in March during the cherry blossom season or other festivities.To avoid peak season charges, book early! An Onsen, or hot spring, is very popular with the locals. Takayama Ouan is one of the few hotels near the train station that offers an onsen in its hotel. The onsens are located on the top floor at 13th level. 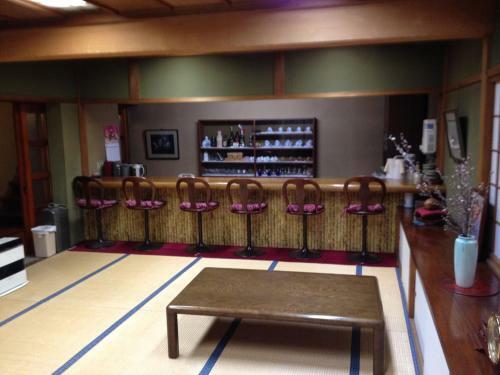 There are public onsens, separated by genders at each end as well as 3 private onsen rooms. You do not need a reservation for the private onsens, however do take note that evening time is the peak period for those rooms. Guests are allowed a maximum of 30 minutes in these private onsens, so imagine the waiting time. The best time to try out the private onsens will be late morning or early afternoon when everyone is out touring the city. My advice is to head out as early as 7am to explore the city, and head back to the onsen around 12 where you will find that they are completely empty! One of the private onsen rooms is blocked with a hard transparent sheet, while the others are open with views of the city! I would opt for the rooms with the open views as they are fabulous, especially when it is snowing. 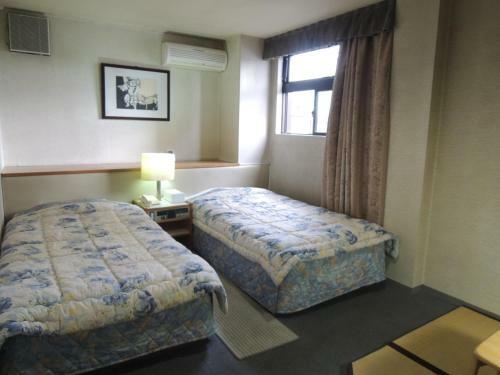 There are pictures of each room available outside the onsen. Each room is equipped with a private bath, and toiletries. Once you are out, enjoy a bottle of complimentary yakult and relax your feet on the massage machine. Feeling hungry at night? Free ramen for all guests! Takayama Ouan offers free ramen noodles to its guest daily from 10.30pm-11.30pm at its restaurant on level 2. You will be informed of that upon check-in as well. At times, a queue will start forming outside from 10.15pm as you have to get a number tag when the restaurant opens at 10.30pm sharp. You will be asked for the number of bowls required when you receive your tags, and numbers will be called out when your noodles are ready for you to head to the counter for collection. Iced water is provided too, however, the staff will start calling out the numbers in Japanese subsequently so if you do not understand the language, look out for the people in front of you to avoid missing your number! The hot bowl of ramen is deliciously brewed in a tasty broth and comes with bamboo shoots. This prepares you for a good night’s rest after the complimentary supper. A great choice for the price! The accessibility of the hotel from the train station with the onsens and free daily ramen, makes Takayama Ouan a great choice for the price that you are paying. If you are looking for a place not just for sleeping, this hotel promises to leave you unforgettable memories of its amenities.